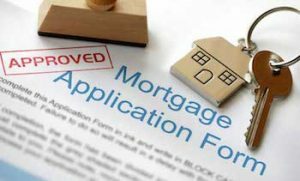 Frustrated at the way large financial companies treated customers as a commodity rather than as people, Directors Andrew Butterworth and Alan Dee formed Manchester Mortgages in 2003. They have provided attractive, tailored mortgages and associated insurance deals to thousands of people since. Alan first started working in the financial services industry in 1973. He was employed by a High Street bank in various roles and in 1990 took on the position of mortgage adviser, eventually leaving to become an Independent Financial Adviser specialising in mortgage advice. He later went to work for a company based in North Wales specialising in the New Build market, providing Independent Mortgage Advice to prospective buyers. This is where he met Andrew who was carrying out the same role. He has also worked within a busy estate agency business in South Manchester providing mortgage advice to prospective buyers and sellers. Alan is married with 3 children. His interests include motor sport, property development and his family. Andrew first started working in the financial services industry in 1986, holding a variety of positions including Pensions Adviser, Long Term Care Adviser and Business Development Manager prior to forming the partnership with Alan. Since the formation of the company he has specialised in giving mortgage advice to a variety of clients. Andrew is married and has 2 children, and his interests include travel, most sports, property development and his family. We aim to put our clients at the very front of the thought process, ensuring that they are treated with respect and courtesy throughout the mortgage application and beyond. We go the extra mile to provide our clients with the best possible deal to suit their particular circumstances. A very large number of our clients have felt so confident with the service we have provided that they have recommended us to their family, friends and work colleagues. We remain committed to giving good, honest mortgage advice, helping people to own their dream homes. With over 70 years’ mortgage experience, call Alan or Andrew on 0161 706 0242, or fill in and send the Contact Us Form and let us help you through the mortgage process – we guarantee you will not be disappointed.